On 19–21 May 2015, the Government of Myanmar launched its ambitious Ecotourism Policy and Management Strategy for Protected Areas, developed with technical collaboration from ICIMOD. With this document, Myanmar initiates a careful approach to opening up 21 selected protected areas for sustainable ecotourism development, setting an example for the region. This effort aligns the objectives of Myanmar’s Ministry of Hotels and Tourism and Ministry of Environmental Conservation and Forestry to strengthen the conservation of protected areas, stimulate sustainable economic development for local communities, and contribute to climate change adaptation. 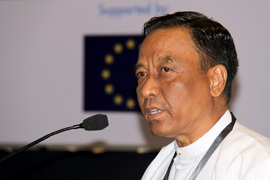 During a closed-door Ecotourism Policy Dialogue on the morning of 19 May, Union Minister, U Win Tun of Ministry of Environmental Conservation and Forestry noted that “ecotourism provides an opportunity to fulfil development goals as stipulated by the Government of Myanmar including green growth, people-centered development, people-oriented approaches, and maintaining the national culture and identity”. He added that the Ministry is planning to increase the number of ecotourism sites. 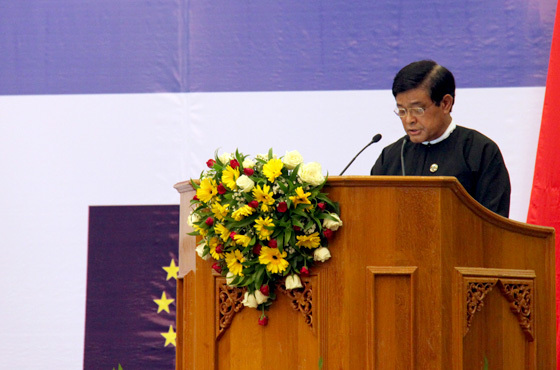 Union Minister U Htay Aung of the Ministry of Hotels and Tourism presented the Ecotourism Policy and Management Strategy in Protected Areas, highlighting its key components. One of these is the Ecotourism Service Framework that will be prepared by the ministries to guide ecotourism business agreements in protected areas and ensure that benefits accrue to conservation and local communities. His Excellency subsequently chaired a dialogue with various ecotourism experts from the region (including Malaysia, India, Bhutan, Nepal and USA), who highlighted the important learning from their experiences. Emphasis was placed on the recognition and role of communities, as social recognition and sense of pride is important. In Sikkim, for example, community members are recognized as honorary guardians who manage the forests, guide visitors, and monitor impacts. Malaysia and Bangladesh representatives added the importance of awareness and education for local communities. Bhutan representatives recommended that Myanmar consider adopting some financial mechanisms (e.g., tariffs or entrance fees) to regulate the flow of visitors. In Sikkim there are no such mechanisms and they have found it difficult to manage visitor flows. The Ecotourism Policy Dialogue was followed by an International Conference titled ‘Ecotourism in Protected Areas: Strengthening Livelihoods, Conservation, and Adaptation’. The Conference was organized by ICIMOD through its ‘Rural Livelihoods and Climate Change Adaptation in the Himalaya’ (Himalica) initiative, funded by the European Union. Himalica aims to support poor and vulnerable mountain communities in the Hindu Kush Himalayan region in adapting to climate change through the development of mountain livelihoods. The Conference was jointly hosted by Myanmar’s Ministry of Hotels and Tourism and Ministry of Environmental Conservation and Forestry. Discussing topics like climate change, spiritual tourism, nature conservation financing, and working with host communities, the 200+ experts, policy makers, government officials, and journalists who participated said that creating and sharing new knowledge on ecotourism policies and practice would be crucial to determining the direction of progress countries in the region make in the field of ecotourism. 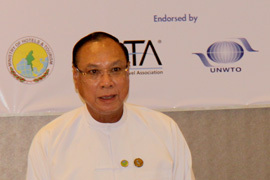 Minister U Htay Aung of the Ministry of Hotels and Tourism said that Myanmar’s new Ecotourism Policy has been developed to guide the systematic and sustainable development and management of ecotourism, and to avoid and mitigate any potential negative impacts that may arise from unregulated nature-based tourism development. “We fully believe that ecotourism will not only benefit the protected areas through conservation, but also the local communities through employment, capacity development, and as an alternative source of livelihood,” he said.